These chromoly adjustable control arms are geared towards a race application. 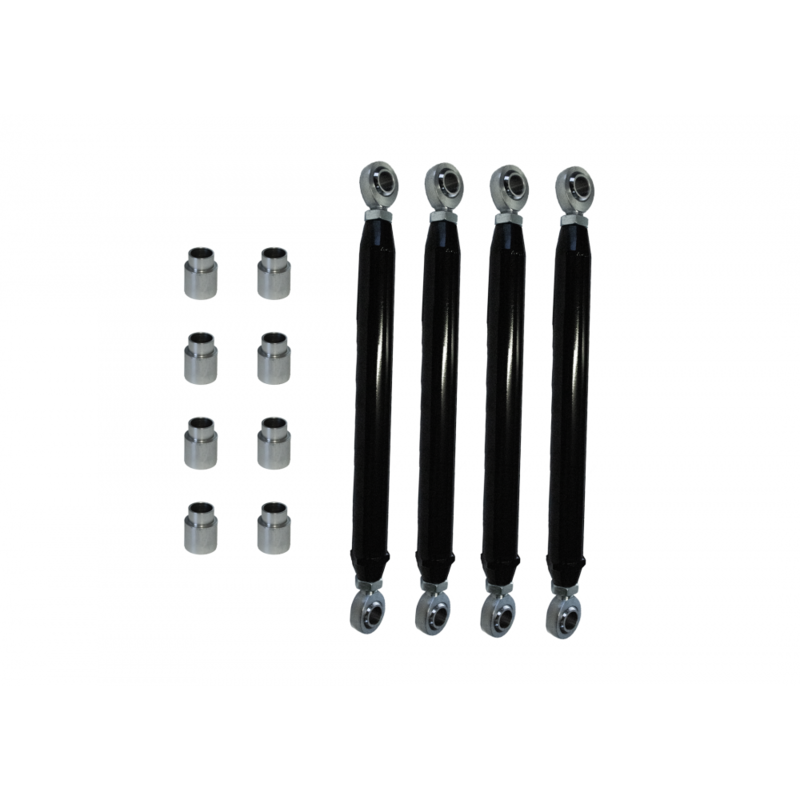 These control arms eliminate any play associated with the rubber bushings in a factory control arm. They are constructed of 1.5" x 0.120" wall chromoly tubing and are TIG welded to 3/4 x 3/4 chromoly heim joints. They come with inserts so that they will fit with factory bolts. Firepunk has only tested these control arms in a race application. It is very important that the jamb nuts remain tight at all times. Firepunk will not be responsible for damage to heim joint if the jamb nuts are not tight.